14 minutes from the time I put them in the boiling water. But then, I like them firm. 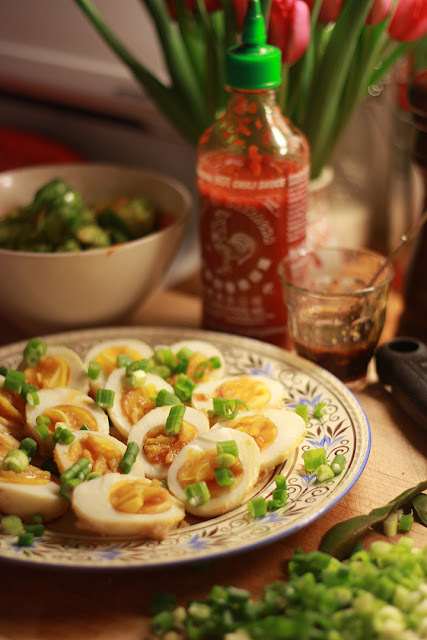 Your photo is beautiful and the Sriracha Sauce bottle brings it down to earth! Have a great weekend, you two And enjoy all that protein. "I am not a robot,"
Can you use a rice cooker/steamer for this?